Complementary to our 2-way ball valves, VACTRA also offers multiport ball valves 3-way and 4-way. 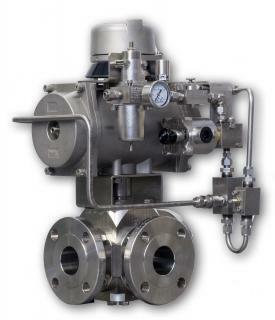 Cost effective multiport ball valves feature multidirectional control combined with shutoff capacity in one valve. Valve duplication and the need for an extra shutoff valve are eliminated. 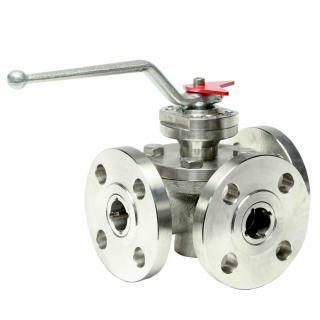 Our multiport valves, X- L- and T-port, are available with threaded, weld ends and flanged end connections. End connections can be mixed on a single valve. Standard delivery range includes up DN150 / 6” 300lbs. Other sizes and classes upon request. The four seat design is available with spring energised seats. The ball stem can be either one piece or two piece pinned design. Should you require more information, please contact our office at +31-164 630 360 or info@vactra.com for more information.